Walton, New York, March 27 -- The Irish team of Tommy Doyle and Liam Moynihan (Mitsubishi Lancer Evo) became first-time winners of Rally New York USA this weekend. They finished the 300 miles of Catskill Mountain roads (including nearly 100 miles of high-speed “special stages”) 23 seconds ahead of the field. 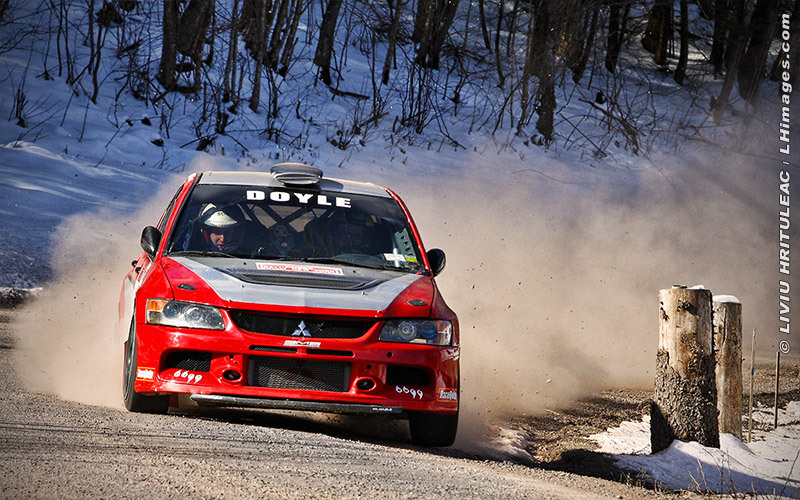 Tom Lawless, the 2006 winning driver, placed second with Irishman Martin Brady co-driving (Mitsubishi Lancer Evo). They were a minute and a half in front of the third place entry, Danny O’Brien/Brendan McCabe (Subaru Impreza WRX). The up-and-coming team of Matt Gottlieb/Austin Gager (Subaru Impreza WRX) placed fourth. Michael Reilly/Josh Benthien (Ford Focus ZX3) won the category for two-wheel-drive cars and placed fifth overall. They were well ahead of newcomers Erik Potts/Steven Case (Ford Focus SVT), despite backing off at the end to ensure a finish when the car’s exhaust manifold broke just in front of the turbo system. Third went to Erika Detota/Travis Hanson, who came back from a delay for a broken fuel line. Despite the fact that the calendar said spring and the days were sunny, temperatures in the spectacular Catskill Mountains of New York remained near or below freezing all weekend. The roads – entirely paved for this event – were generally clear, but drivers needed to remain watchful as a few patches of snow remained. Rally New York USA is the only tarmac National Championship rally in the US. It was the second round of the United States Rally Championship. 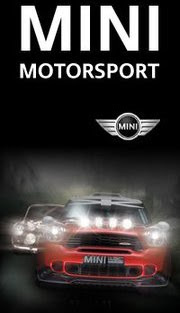 More information on the United States Rally Championship can be found at www.usrallychampionship.com. The rally is organized by Rally New York, Ltd. based in Forestburgh, New York. More information about Rally New York, Ltd. and on its other events is at http://www.rallynewyork.com/.